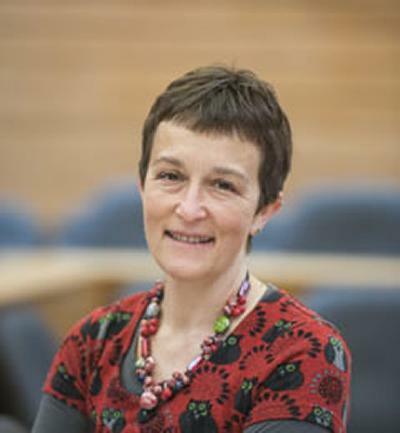 Catherine Pope is Professor of Medical Sociology within Health Sciences, University of Southampton where she leads the Emergency and Urgent Care (EmU) research group. Her research examines health care work and the organisation and delivery of health services and this has entailed recent work on NHS 111 urgent care services, the role of evidence in GP commissioning and studies of ambulance services. She has contributed to major national evaluations of NHS treatment centres, Walk-in Centres and Access to General Practice, and was an invited methodological expert to the Chantler independent review of plain paper packaging of tobacco. Catherine has played a leading role in developing qualitative methods and evidence synthesis in health services research and is co-author of significant books and journal papers on these methods. I like to get inside the NHS - talk to people, watch their work, and use social theory to find answers that will improve healthcare. Her teaching includes postgraduate supervision and contributions to undergraduate education across health and social sciences programmes. She also crosses disciplinary boundaries, working closely with the Southampton Web Science Centre for Doctoral Training. She is also a licenced Springboard Women’s Development trainer and delivers this award winning programme for staff in the University. Catherine serves on the editorial boards of Sociology of Health and Illness, Digital Health, and the Journal of Health Services Research and Policy and is a past editor of Sociology. She is a member of the Health Foundation founding cohort of the Q quality improvement initiative and an elected member of the Academy of Social Sciences Council, Health Services Research UK, and the Society for the Studies in Organising Healthcare. Currently occupied combining sociology and ethnography to explore urgent and emergency care, decision-making, communication and technologies in use. Focus on health professions and everyday healthcare practice, and the impacts of policy and organisational change on these. A multidisciplinary case study of computer decision support and workforce redesign. A unique contribution to the understanding of how health technologies are deployed in the NHS. A collaboration with colleagues in local NHS Trusts to provide the first ethnographic study of communication and information transfer during ambulance journeys. Examining the everyday work and practice, the experience and skills of the workforce, the technologies brought into use, and organizational environment, required to deliver the national ‘111’ single point of access service. This project will examine three distinct models of commissioning expertise, namely private sector (i.e. external providers), Primary Care Trust (PCT) commissioning and GP consortia commissioning and. explore how commissioners access, assimilate, integrate and utilize different kinds of managerial and clinical knowledge in the commissioning process. This is a European collaboration towards faster and more effective implementation of eHealth interventions. The project’s raison d’être is founded on the notion that implementation of new services and technologies is time-consuming and costly – and often fails completely – not least in the healthcare domain. Solidly based in research, and in a collaboration spanning from all corners of Europe to Australia, the project will construct its answer to this widespread problem. Stevenson, F., & et al. (Accepted/In press). General Practitioner use of online resources during medical visits: Managing the boundary between inside and outside the clinic. Sociology of Health and Illness. Gunn, J. M., Palmer, V. J., Naccarella, L., Kokanovic, R., Pope, C. J., Lathlean, J., & Stange, K. C. (2008). The promise and pitfalls of generalism in achieving the Alma-Ata vision of health for all. Medical Journal of Australia, 189(2), 110-112. Salisbury, C., Banks, J., Goodall, S., Baxter, H., Montgomery, A., Pope, C., ... Boudioni, M. (2007). An evaluation of advanced access in general practice. National Co-ordinating Centre for NHS Service Delivery and Organisation. Pope, C., Mays, N., & Popay, J. (2006). Informing policy making and management in healthcare: The place for synthesis. Healthcare Policy, 1(2), 43-48. Smith, A., Goodwin, D., Mort, M., & Pope, C. (2003). Encouraging expertise in the use of monitoring. Journal of Education in Perioperative Medicine, V(II). Mort, M., Goodwin, D., Pope, C., & Smith, A. (2002). Developing and maintaining anaesthetic expertise: the place of observational methods. European Journal of Anaesthesiology, 19(Suppl 24), p13. Smith, A. F., Mort, M. M., Pope, C., & Goodwin, D. (2002). How do anaesthetists react to abnormal monitor readings? An observational study. European Journal of Anaesthesiology, 19, 12. Pope, C. (2014). Annex E: Stirling Review and update: qualitative studies. Analysis by Professor Catherine Pope, Southampton University. In Standardised packaging of tobacco - Report of the independent review undertaken by Sir Cyril Chantler (pp. 57-62). London, GB: Department of Health. Bridges, J., Nicholson, C., Maben, J., Pope, C., Flatley, M., Wilkinson, C., ... Tziggili, M. (2013). Capacity for care: meta?ethnography of acute care nurses' experiences of the nurse?patient relationship. In M. A. Keating, A. McDermott, & K. Montgomery (Eds. ), Patient-Centred Healthcare: Achieving Co-ordination, Communication and Innovation Palgrave Macmillan. Hyde, P., Pope, C., & Braithwaite, J. (2009). Conclusion: culture and climate in health care organizations: evidentiary, conceptual and practical progress. In Culture and Climate in Health Care Organizations (pp. 208-212). Basingstoke, GB: Palgrave. Pope, C., Braithwaite, J., & Hyde, P. (2009). Introduction: why focus on culture and climate? In C. Pope, J. Braithwaite, & P. Hyde (Eds. ), Culture and Climate in Health Care Organizations (pp. 1-3). Basingstoke, GB: Palgrave Macmillan. Pope, C., le May, A., & Gabbay, J. (2009). People, place and innovation: how organisational culture and physical environment shaped the implementation of the NHS TC Programme. In J. Braithwaite, P. Hyde, & C. Pope (Eds. ), Culture and Climate in Healthcare Organisations Basingstoke, UK: Palgrave Macmillan. Smith, A., Pope, C., Goodwin, D., & Mort, M. (2009). Teams, talk and transitions in anaesthetic practice. In R. Flin, & L. MItchell (Eds. ), Safer Surgery: Anaylsing Behaviour in the Operating Theatre Farnham, UK: Ashgate. Pope, C., le May, A., & Gabbay, J. (2008). Chasing chameleons, chimeras and caterpillars: evaluating an organizational innovation in the National Health Service. In L. McKee, E. Ferlie, & P. Hyde (Eds. ), Organizing and Reorganizing: Power and Change in Health Care Organizations (pp. 112-122). Basingstoke, UK: Palgrave Macmillan. Pope, C. J., Mort, M., Goodwin, D., & Smith, A. (2007). Anaesthetic talk in surgical encounters. In R. Iedema (Ed. ), The Discourse of Hospital Communication: Tracing Complexities in Contemporary Health Organisations (pp. 161-181). Basingstoke, UK: Palgrave Macmillan. Pope, C., Le May, A., & Gabbay, J. (2007). Chasing chameleons, chimeras and caterpillars: evaluating and organisational innovation in the National Health Service. In L. McKee, E. Ferlie, & P. Hyde (Eds. ), Organizing and Reorganizing: Power and Change in Health Care Organizations (pp. 112-122). Basingstoke: Palgrave Macmillan. Mays, N., Pope, C., & Ziebland, S. (2006). Analysing qualitative data. In C. Pope, & N. Mays (Eds. ), Qualitative Research in Health Care, 3rd Edition (pp. 63-81). UK: Blackwell. Langridge, N., Roberts, L., & Pope, C. (2013). The place of ‘gut feeling’ in clinical reasoning. Sugiura, L., Pope, C., & Webber, C. (2012). Buying unlicensed slimming drugs from the Web: a virtual ethnography. Poster session presented at Web Science Conference 2012, Chicago, United States. Sugiura, L., Pope, C., Weal, M. J., & Webber, C. (2012). Observing deviancy online. Poster session presented at Digital Research 2012, Oxford, United Kingdom. Rowsell, A., Pope, C., O'Cathain, A., & Brownsell, S. (2011). Meta-review of telehealth interventions for managing long term conditions: we need to stop doing systematic reviews and do better primary research. Abstract from The Society for Academic Primary Care, United Kingdom. Halford, S., Pope, C., Carr, L., Erickson, J. (Ed. ), & Gradmann, S. (Ed.) (2010). A manifesto for Web Science. 1-6. Paper presented at Proceedings of the WebSci10: Extending the Frontiers of Society On-Line, United States. Carr, L., Pope, C., & Halford, S. (2010). Could the Web be a temporary glitch?. 1-6. Paper presented at WebSci10, United States. Pope, C. J., le May, A. C., & Gabbay, J. (2008). People, place and innovation: how organisational culture and physical environment shaped the implementation of the NHS TC programme. Paper presented at 6th International Conference on Organsiational Behaviour in Health Care: Culture and climate - crakcing the code, . Gerard, K., Pope, C., Salisbury, C., Banks, J., & Lattimer, V. (2007). Using quantitative and qualitative methods to inform public health decision-makers of patient preferences: a case study in improving access to general practice services. Poster session presented at The 15th Annual Public Health Forum, . Pope, C. J., le May, A. C., & Gabbay, J. (2006). Chasing chameleons, chimeras and caterpillars: researching the implementation of an organisational innovation in the National Health Service. Paper presented at Organisational Behaviour in Health Care, . le May, A. C., Gabbay, J., & Pope, C. J. (2006). The diffusion of innovation into British health services: a case study of treatment centres. Paper presented at Health Technology Assessment International Annual Conference, . Pope, C., Mays, N., & Popay, J. (2005). How can we synthesise qualitative and quantitative evidence for policy makers and managers?. Paper presented at 6th International Conference on the Scientific Basis of Health Services, . le May, A., Gabbay, J., & Pope, C. J. (2005). The diffusion of innovation into British Health Services: a case study of treatment centres. Paper presented at The 6th International Conference on the Scientific Basis of Health Services (ICSBHS), . Pope, C. J., Roberts, G., Bate, P., le May, A. C., & Gabbay, J. (2004). The transformation of meaning on the journey of an organsiational innovation from macro to micro-systems: an empirical case study of NHS Treatment Centres. Paper presented at 6th International Conference on Organisational Discourse, . Pope, C., Chalder, M., & Salisbury, C. (2002). Why people use walk-in centres. BSA Medical Sociology Group Conference: 34th Annual Conference, . Pope, C. (2001). Can the art of surgery and evidence based medicine be reconciled?. International Society of Technology Assessment in Health Care, . Smith, A. F., Goodwin, D., Mort, M., & Pope, C. (2001). Making explicit anaesthetic expertise: methodological consideration and subjects' perceptions. Paper presented at Anaesthetics Research Society Meeting, . Pope, C., Smith, A., Goodwin, D., & Mort, M. (2001). Passing on tacit knowledge in anaesthesia: how can training learn form qualitative methods?. Association for the Study of Medical Education Annual Scientific Meeting, . Pope, C., Salisbury, C., Manku-Scott, T., Chadler, M., Nicholas, R., Deave, T., ... Sharp, D. (2001). What are walk-in centres? A preliminary descriptive analysis from the National Evaluation of NHS walk-in centres. SW Association of Departments of GP Annual Meeting, . Pope, C. (2000). Why surgeons don’t follow guidelines. Society for Social Medicine annual meeting 2000, . Rowsell, A. C., Pope, C., & O'Cathin, A. (2011). Briefing report on evidence from systematic reviews of telehealth for and computerised web-based interventions for depression and mental health problems. Southampton, GB: University of Southampton. Rowsell, A. C., Pope, C., & O'Cathin, A. (2011). Briefing report on evidence reviews of telehealth for long term conditions. Southampton, GB: University of Southampton. Rowsell, A. C., Pope, C., O'Cathin, A., & Brownsell, S. (2011). Briefing report on qualitative literature of telehealth for long term conditions. Southampton, GB: University of Southampton. Pope, C., Turnbull, J., Halford, S., Pritchard, J., Calestani, M., Salisbury, C., ... Lattimer, V. (2011). Ethnography and survey analysis of a computer decision support system in urgent out-of-hours, single point of access and emergency (999) care. Southampton, GB: NIHR Service Delivery and Organisation Programme. Bate, P., Robert, G., Gallivan, S., Jit, M., Utley, M., Le May, A., & Pope, C. (2008). The development and implementation of NHS treatment centres as an organisational innovation. London, UK: Service Delivery and Organisation Programme: National Institute for Health Research. Salisbury, C., Chalder, M., Manku-Scott, T., Nicholas, R., Deave, T., Noble, S., ... Sharp, D. (2002). The national evaluation of NHS walk-in centres - final report. Bristol, UK: University of Bristol.